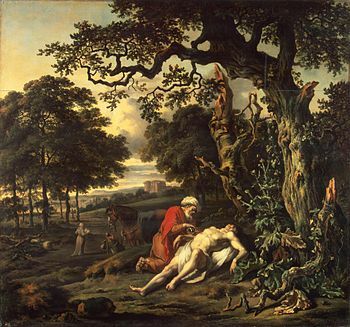 The parable Jesus told about “the Good Samaritan” is probably the best known of all of His parables. Admittedly, most people probably don’t really know the story, but even those who wouldn’t know a Bible from the Encyclopedia Britannica at least know what people mean when they talk about someone acting as a “good Samaritan” today. It is such a great parable for many reasons, but perhaps it is so famous because it shows the best side of a person that maybe had reason not to act as they did. What seems clear is that the lawyer wanted to apply the word neighbor in its most narrow sense. He certainly could not be expected to love everyone! But just how broadly should he apply it? This has given me pause to wonder how many times I have had this attitude myself. If I am to be truthful, it has happened many more times than I would like to admit. That is the point Jesus was making to me, and others like me, in this parable. The man “going down” from Jerusalem was obviously a Jew. The Jews and the Samaritans in those times did not get along well. 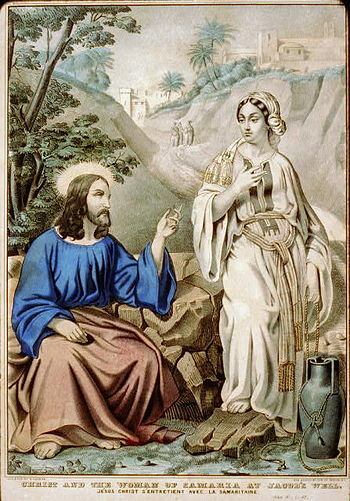 Refer to the woman at the well in John 4:9, who asked Jesus “How is it that you, a Jew, ask for a drink from me, a woman of Samaria?” When the Israelites were taken captive by the Assyrians, the king brought foreigners from various places into the land, who inter-married with the Israelites that had been left behind (2 Kings 17:23-24). These Samaritans were considered “unclean,” and Jews would have nothing whatsoever to do with them. The man from Jerusalem in the parable was beaten and robbed and left for dead. First a priest, and then a Levite pass this dying man on the side of the road without stopping. The Samaritan knew that this Jew (under other circumstances) might not give him the sweat from his brow even if he was dying of thirst. Yet he stopped, dressed his wounds, carried him to safety and went to considerable expense to see that he was cared for. When Jesus told the lawyer “you go and do likewise,” He was speaking to me. That kind of love and care for even a stranger is what my Lord expects of me, and what, I know, I have not yet truly learned. But I am working on it. And just maybe with His help, I’ll get there.